Stahl are manufacturers of ATEX certified, hazardous area electrical equipment. The product range includes electrical enclosures, plugs and sockets, camera equipment, isolators, lighting, installation equipment and heating system components. Hazardous area electrical equipment is used to provide power, lighting, visibility and other services within Zone 1, Zone 2 hazardous rated areas. The range of hazardous area products is intrinsically safe and provides entire system solutions to industries including oil & gas, petrochemical, pharmaceutical, food and drink and shipbuilding. Each range of products are manfuactured as standard however full system solutions can be provided to meet specific customer requirements. Each hazardous area product is rugged and designed to withstand burning heat, freezing temperatures, salty water or rough sandstorms. In addition, Stahl hazardous area products are robust enough to withstand combustible gases, vapours or dusts that may be present and come with a standard degree of protection IP 66. Stahl’s full system solution is completely customisable to meet individual requirements and there are system experts on hand to guarantee an optimum fit. Stahl hazardous area products incorporates full system solutions from plugs and sockets right up to ATEX camera equipment and Ex d electrical enclosures. The range of camera and video products includes the EC-710 – the worlds toughest compact camera for hazardous areas, providing visibility in the toughest and least accessible areas. 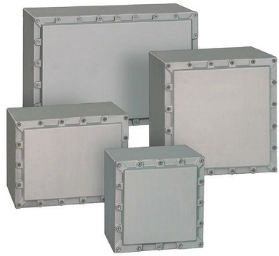 The range of Stahl electrical enclosures includes both Ex and Exd rated for hazardous area and flameproof requirements. The system is constructed from light metal or stainless steel, repective of its protection rating. Stahl provide integrated solutions for hazardous and have a vast wealth of knowledge on how to help you select the correct products to fulfill specific requirements. Stahl Ex d hazardous area electrical enclosures are constructed from lightweight metal or stainless steel with a flameproof version available. The enclosures are typically used for the installation of control and distribution panels . In addition the products can be used as hazardous area control and terminal boxes. The range of electrical enclosures are supplied with standard electrical equipment however the switch gears required can be designed and wired to a custom design in order to me specific customer requirements. The 8150 electrical enclosure is able to withstand extreme temperatures of between -60ºC – +70ºC. With an IP 66 rated seal and extreme corrosion resitance, the 8150 enclosure can be installed in almost any hazardous area. Each hazardous area electrical enclosure is certified by many different international standards including ATEX, IECEx, INMetro and CPT. T&D were established in 1985 and are now one of the largest Stahl Electrical distributors and stockists – we provide expert technical support, competitive quotations and international delivery for all Stahl hazardous area electrical products. 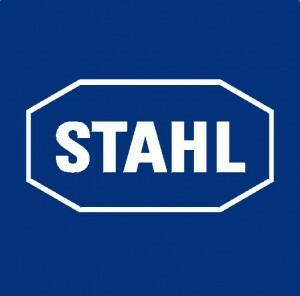 Stahl was founded on August 1, 1876 in Stuttgart, Germany by Raphael Stahl. Working from a lone workshop having completed a fitters apprenticeship, the company was led single handily by Raphael Stahl up until the mind 1800’s. Today, with headquarters in Waldenburg, Germany, over 1,700 employees and €304M turnover, Stahl operates on a global scale. With over 130 years of company history and 80 years spent manufacturing explosion protection equipment, Stahl is synonymous with providing the highest quality, demanding solutions. T&D International are Main UK Distributors for Stahl Hazardous Area Electrical Products.